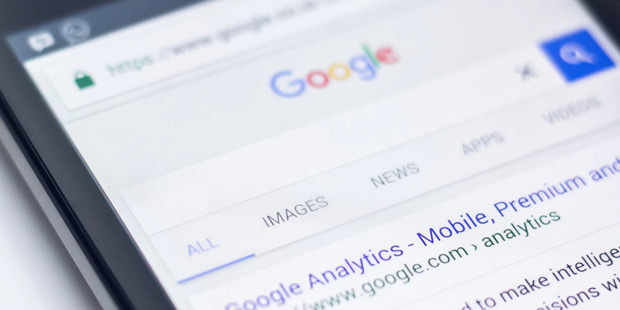 We’ve covered search engine optimization (SEO) before from a marketing perspective, but in this article, we go beyond the website and dig deeper into rapidly developing trends in SEO—such as voice search, secure links, and the rise of video—and how they affect how readers discover your brand. Search rankings favor websites with secured website certificates (SSL). You might have noticed a lock icon before the address field of some websites you visit, and that these URLs start with “https” instead of “http.” In Google Chrome, currently the most-used internet browser in the world, users are notified if they arrive at a site without an SSL. The process of securing your website can be tricky; one benefit of simple website providers like WordPress, Wix, and Squarespace is that your website will usually have an SSL when it is published. Have you ever searched for a product, only to see similar products advertised to you on a different site hours—or even days—later? Search engines, advertisers, and some retailers now strive to make their recommendations as personalized as possible. These entities will sometimes take context into play, such as where you live versus where you currently are or whether you’re viewing on mobile or desktop, while using keywords from your viewable browsing history. Search for any book on Google, and note the difference between results when you type “Where can I buy Title?” versus “Who wrote Title?” You can do the same with your book and see where your website, social media, and buy links fall in each. That’s why it’s important to go beyond keywords on your website and in social media, and add this context in your website’s subheadings, FAQ pages, and in general online conversation. How many times a day do you ask Alexa or Siri to google something for you? While voice-activated technologies have been on the periphery for a long time, trends show that they will only increase in the coming years. According to a 2016 study, 50 percent of all searches will be activated by voice in 2020. Compared to other “brands,” authors generally have a more conversational voice, which will raise visibility when users voice-search via phone. In a similar fashion to what we covered regarding individual customization, phrasing and context are critical. One might quickly type the title of the book in a search box on a computer, but ask more clearly, “Who’s the person who wrote Title?” or “Where can I get a copy of Title?” when asking via voice. Note your own behavior when using a smart device—how does it differ from when you search on a computer? Keep that in mind when updating your information online. Makes it easy to find information. User experience is a trend that goes hand in hand with SEO. If readers can’t find the information they’re looking for, and fast, they’ll give up. Make sure readers can get to your author bio, find links to contact you, and access buy links—all in a few clicks. Gives your site the right content. The more consistent your brand is from the start, the better your overall SEO is. For example, if your website bio matches your Goodreads, Facebook, or Amazon bio, potential readers will have no confusion when clicking on links in search results. Makes it easy for readers to find your website. By incorporating key phrases into your site (e.g., “author of historical fiction”), linking to your website often, and keeping your site updated, you’ll raise your overall SEO. Search engine optimization is ever-changing, in a way that tries to give consumers exactly what they’re looking for on the first try, with the fewest hoops to jump through. With some simple research, you can learn exactly which keywords and phrases resonate in search results and use that context to build an author brand that can flourish as these new trends continue to grow.